Just a good standard metal case. It has 5.25" bay drives, comes with a fan on front and fan on back. Everything fits well. Cable management isn't the easiest with this case but definitely achievable. Love the 2 front USB 3.0 ports and the general openness of the case, allows for great airflow. 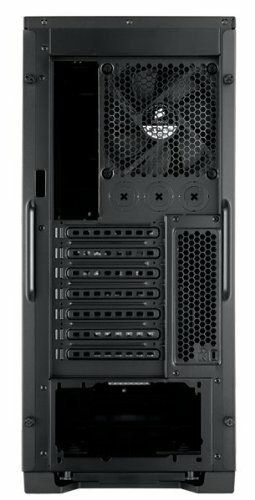 Great case, great value, plenty of ventilation, and everything else you could ask for on a budget case. Nothing can beat it. Great looking case. Has all the bare necessities and the drive bays are very nice. This case is amazing for a medium build. Plenty room for cable management and or custom loop cooling. I've got room for an extra GPU if I do so desire. 3 drive slots on the front. Plenty 3.5 slots on the inside, and it has great airflow. Support for 240/280mm rads and its even got built in fan filters. However, you will have to supply your own filters for the side intakes... Pantyhoes work fine. 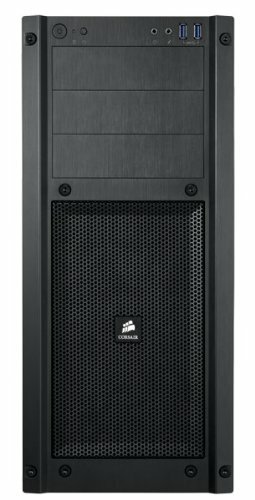 Sturdy construction, and easy to pop off the front panel for cleaning or other work. I plan on keeping this case indefinitely. I dont see any reason to change! Nice entry level case with good airflow. Spaces for up to 6 x 140 mm fans and 1 x 120 mm fan. Included fans are okay, neither super powerful nor loud. No fancy side panel window but a large grille for fan(s) pointed at the graphics card or as a passive exhaust vent for an open-air graphics card. Side panels are a little flimsy, so be prepared to wrestle them a little to get them back on. A 240 mm radiator WILL NOT fit with most mobos. A little ingenuity with twist ties will allow a 240 mm radiator to be hung from the top grille and still have room for the RAM. This will partially block the top optical drive bay, but a short accessory like a fan controller or SD card reader will still fit. Cable management is tight, but there was enough space for everything after some careful planning. i like this case. It has a nice, open design, so I have great airflow. 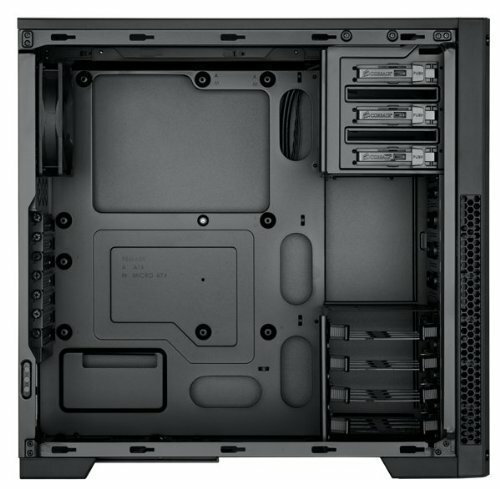 The drive bays are easy to use, and work well. Cable management is also better than most. Plenty of room in the case. Easy to open, love the drive bays, comes with two fans inside the gays. Air flows through it nicely, plenty of wide open spaces. Great case! Easy to cable and looks great. Bought the rubber grommets for this, thought it was something that should have come with the case, but certainly not complaining for the price.